Charities and foundations with less than $1M in gross receipts need to use their resources to focus more on programming and their mission, and less on administrative activities that don’t help the organization achieve its strategic goals or deliver on the commitments it has made to funders and donors. What is an example of a task that every small charity and foundation engages in that does not further its mission? Conducting and facilitating board meetings. Of course, board and committee meetings are a necessary part of running any nonprofit, including a charity or foundation. But time spent compiling board binders and other cumbersome meeting materials is time that could be better spent on activities that increase a charity or foundation’s programmatic impact. In addition, adopting technology that makes attending and participating in board and committee activities easier will only increase director engagement. And director engagement is critically important to the success of small charities and foundations. As anyone who has worked for or served on the board of a charity or foundation knows, an organization with an engaged board of directors is an organization that is far more likely to achieve its goals. However, convenience and ease aren’t the only benefits BoardPaq can deliver to small charities and foundations. The platform also features truly innovative technology that delivers benefits that aren’t provided by other board portals. One of BoardPaq’s many unique features is a SWOT (strengths, weaknesses, opportunities, and threats) analysis tool that will help a board of directors develop a strategic plan that can strengthen their bottom line while still increasing organizational impact. BoardPaq developed its SWOT tool specifically because it knows how important good strategy is to the success of a small nonprofit led by a volunteer board of directors. Easily access upcoming and past meeting materials. Easily access contact information, bios, and committee memberships. Inform board administrators and staff of their availability. Track individual director tasks that need to be completed for each meeting. Review and comment on draft minutes. Respond to RSVP meeting requests. Maintain an online meeting agenda that allows directors to view correlating documents and add notes to agenda items. Attach personal notes and reminders to agenda items for reference during meetings. Conduct secure real-time discussions between directors and staff on individual agenda items. Vote any time a resolution is open for voting, from anywhere. Under a new pricing plan designed specifically for them, BoardPaq—the board portal of choice for more than 1,000 cost- conscious nonprofits across the country—gives small charities and foundations the tools and resources they need to increase their impact and successfully achieve their strategic goals. For charities and foundations with gross receipts of less than $1M, one of the most valuable resources is time. If the small charity or foundation has staff, those staff are wearing several hats. If the charity or foundation has an executive director, that ED is often also the chief program officer, chief financial officer, IT director—and takes out the trash. Small charities and foundations simply do not have the financial resources to afford specialized staff. Utilizing BoardPaq means wearing at least one of those hats the ED is wearing—coordinating board meetings—is a lot less cumbersome. 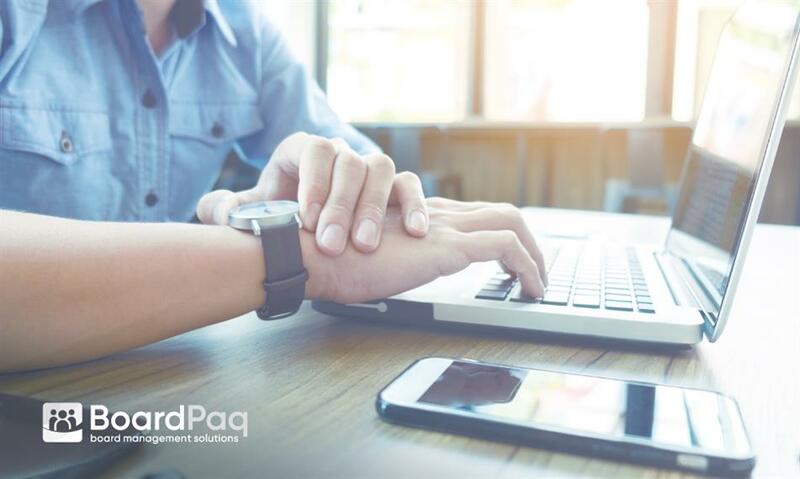 BoardPaq’s many features and benefits help facilitate dialogue and collaboration between directors, officers, and staff. Increased dialogue and collaboration also results in a more effective use of limited time. The result of that extra time and collaboration will be a charity or foundation in a position to increase its impact and deliver real results to its funders and stakeholders. Having engaged funders and stakeholders means making a bigger impact—and a bigger impact means increased support from donors and funders. In other words, focusing on the little things (like board meetings) is often the first step toward doing even bigger things. Interested in learning more about the benefits of BoardPaq and how small charities and foundations can use the nonprofit sector’s most robust and innovative board portal?